Even octopuses understand the importance of elbows. When these squishy, loose-limbed cephalopods need to make a precise movement — such as guiding food into their mouth — the muscles in their tentacles contract to create a temporary revolute joint. These joints limit the wobbliness of the arm, enabling more controlled movements. Now, researchers from the Harvard John A. Paulson School of Engineering and Applied Sciences (SEAS) and the Wyss Institute for Biologically Inspired Engineering have shown how a multi-layered structure can allow robots to mimic the octopus’s kinematics, creating and eliminating joints on command. 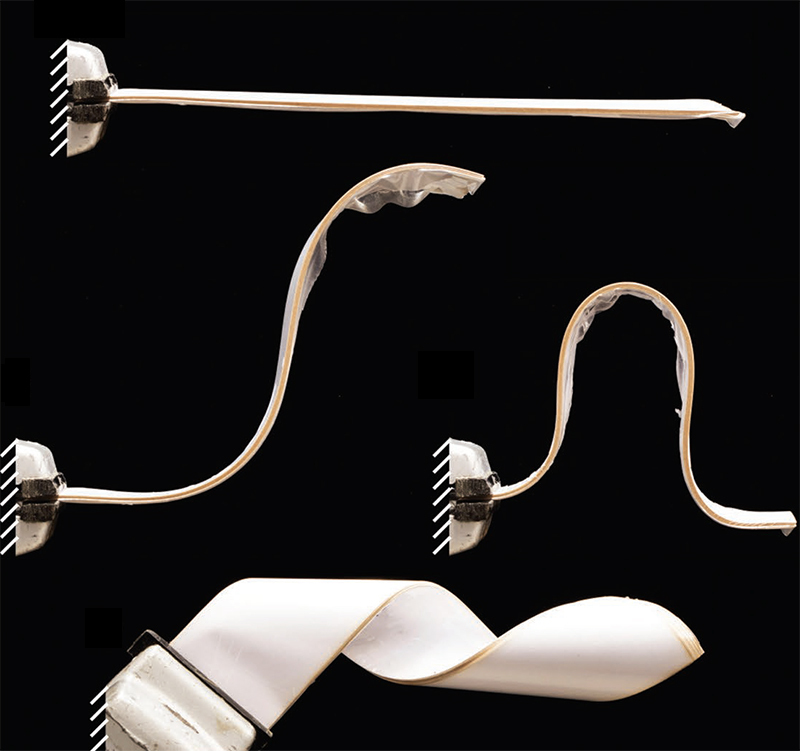 The structure can also allow robots to rapidly change their stiffness, damping, and dynamics. The research was published in two papers in Advanced Functional Materials and IEEE Robotics and Automation Letters. The structure is surprisingly simple, consisting of multiple layers of flexible material wrapped in a plastic envelope and connected to a vacuum source. Without vacuum, the structure behaves exactly as you would expect, bending, twisting and flopping without holding shape. But when a vacuum is applied, it becomes stiff and can hold arbitrary shapes, and it can be molded into additional forms. This transition is the result of a phenomenon called laminar jamming, in which the application of pressure creates friction that strongly couples a group of flexible materials. The research team, which also included Robert Howe, the Abbott and James Lawrence Professor of Engineering, Joost Vlassak, the Abbott and James Lawrence Professor of Materials Engineering, and Alperen Degirmenci, a graduate student in SEAS, extensively modeled the mechanical behavior of laminar jamming to better control its capabilities. Next, they built real-world devices using the structures, including a two-fingered gripper that, without vacuum, could wrap around and hold onto large objects and, with a vacuum, could pinch and hold onto small objects about the size of a marble. The researchers also demonstrated the structure’s capabilities as shock absorbers by attaching them to a drone as landing gear. The team tuned the stiffness and damping of the structures to absorb the impact of landing. The structure is a proof-of-concept that could have many applications in the future, from surgical robots to wearable devices and flexible speakers. This drone’s landing gear is tuned the stiffness and damping to absorb the impact of landing. The structure consists of multiple layers of flexible material wrapped in a plastic envelope and connected to a vacuum source. When a vacuum is applied, the layers of flexible material becomes stiff and can hold arbitrary shapes, and be molded into additional forms.